PEACOCK INSPIRED ART GLASS VASE by Accent Plus home decor, jewelry, decor, decorations, electronics, fountains, floor mats, art glass, vases, garden essentials, fireplace screens. Dramatic color and undeniable style is what you'll enjoy every day when you bring this beauty home. 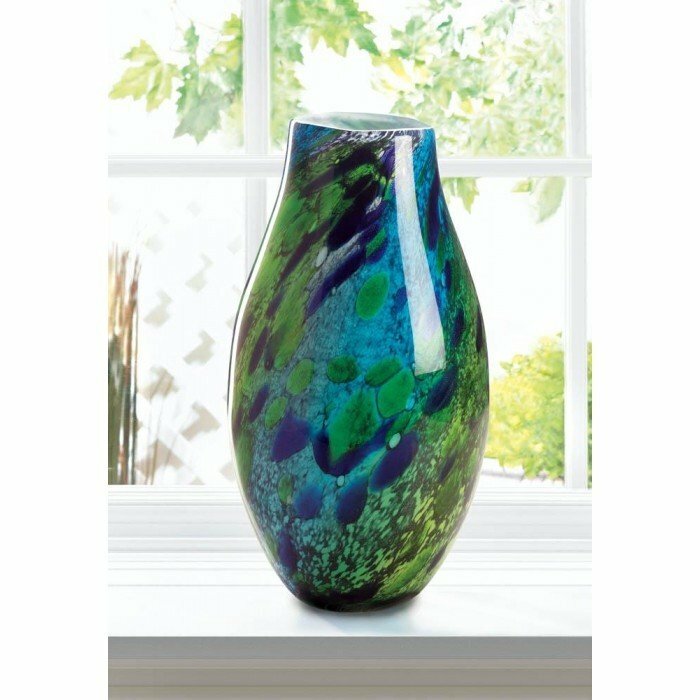 Shades of brilliant green and deep blue dance in swirls and spots on this glorious art glass vase. For decorative purposes only. Individually hand-crafted for its unique beauty. Item may be slightly different from the picture shown here. Material(s): GLASS. Weight 11.6 pounds. Dimensions 8" x 8" x 16".